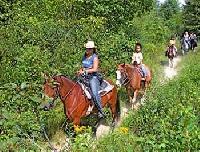 Horseback Riding Vacations: Priv. acres, mtn. views, on the Saco R..Stay at the inn & Ride.